Bed bug bites are down-right annoying. The little suckers attack in the middle of the night and leave a mark that itches like crazy if you don’t provide treatment readily. The good news is that there are many home remedies or over-the-counter products that help with bed bug bite pain relief and prevent scarring. While it’s important to care for your bites, it’s more important to first contact a local bed bug exterminator to get rid of the nasty infestation once and for all. This vitamin is great for preventing scars because the antioxidants nourish the skin as it heals the bite. Vitamin E creams can be found at local drug stores, or you can apply small amounts of avocado to the bites. Avocado is rich in vitamin E.
There are some moments of weakness when the itch of a healing bed bug bite is too powerful and people succumb to scratching, especially young children that aren’t aware of scarring. Many scar treatment gels are available over-the-counter, or you can discuss a more powerful medication with your doctor if it seems necessary. Do you have teenagers with acne in your home? Many acne treatments contain salicylic acid to prevent scarring, which can work the same way in the fight against bed bug bite scarring and itching. Should you not have any acne medication in your home, search for witch hazel, a natural product that contains salicylic acid. Keep up with our next blog post to learn even more great tips to help heal your bed bug bites and prevent scarring. 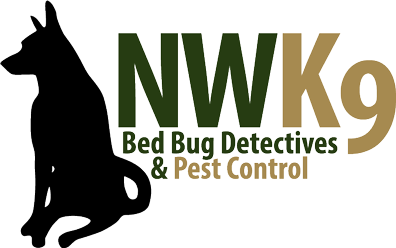 As always, you can count on Northwest K9 Bed Bug Detectives to be your professional bed bug exterminator in Seattle.